Mapping: it’s kind of everything. It’s the projected image mapped to the surface. It’s pixels mapped to lights. It’s the control layout you use on your iPad and your fader box mapped to parameters in visual output. It’s the translation of music to lights. It’s the range of color on the filter. You’re constantly mapping one thing to another. And of course, the community of people who read this site are generally somehow undertaking the difficult task of mapping across media, as you map visual performance to music. So, it’s fitting that “mapping” at Mapping Festival is about more than projection mapping, as the Geneva, Switzerland audiovisual happening kicks off this week. “Visual audio” and “deviant electronics” are the theme. That ranges from dynamic club music from the likes of Answer Code Request, Jon Hopkins, and Clark, to Onionlab’s architectural audiovisual experimentation and CENC’s fusion of dance with visuals. I want to talk a bit about musical mapping. For a panel I’m leading at Mapping on Saturday May 11, I’ve pulled together a few of the artists at the festival who deal with that issue of musical translation and image. Each of these artists works at that touch point of sound and picture. Sougwen Chung has done so with her collaborations with Ghostly International, but in Geneva turns her work to an installation that responds to sound from the space, transforming a room into a responsive, fluid architecture fed by ambient noise. See image at top. Wraetlic, by Alex Smoke and Arch Project. See some informal performance documentation, a music video, and an interview with Alex Smoke. 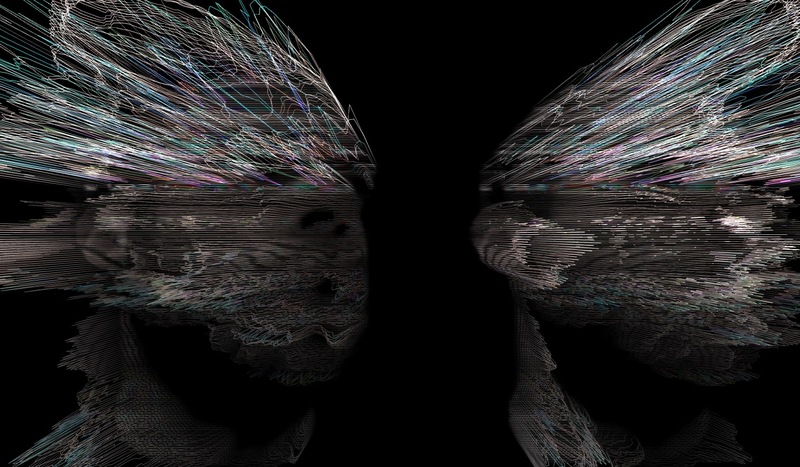 DIGITALIS: Alex Smoke presents Wraetlic from MUTEK on Vimeo. ATOM™, aka Uwe Schmidt, perhaps needs little introduction. He is an icon of the electronic music scene for going into a fourth decade now, and represents the masterfully-focused taste machine that is Raster-Noton. Aesthetic sense and sensibility permeates everything they do visually and sonically, from the sound of the tracks to the look of the packaging. HD is his latest audiovisual solo work, in for its European premiere. And… well, that’s all I can say about it, as I haven’t seen it yet, but I’ll have the chance before we have our public conversation. And it’s worth hearing Uwe’s thoughts on visual and musical connections any day. These teasers give you a sense of the sound, if a limited sense of the visuals. Full description from the panel below I think should give some idea of how I think about these things. And I’ll talk a bit about my own work and the way we might approach bigger issues. I hope we’ll have more to bring you after Mapping. If you’re in Geneva, say hi. And if you have thoughts on this topic – artists or otherwise – please do be in contact. Mapping music to visual form has been a metaphysical challenge that has enchanted designers, architects, and composers alike. Audiovisual artist and journalist Peter Kirn traces some moments in the translation of music into image, in architectures of “frozen music” and notated scores reimagined as interactive visual media. He then looks at how tools can merge visual and musical media into a single, integrated interface, including a series of examples from his own work in the free tools Processing and Pd. These suggest the possibilities of expanding audiovisual performance, and “unfrozen,” fluid scores and architectural transformations of music. Following this introduction into some of the ideas behind audiovisual art, Kirn will moderate a lively discussion of artists from a number of different backgrounds who are presenting their work at Mapping. Alex Smoke will talk about his live AV show at the festival, and integrating the performance of images and music. 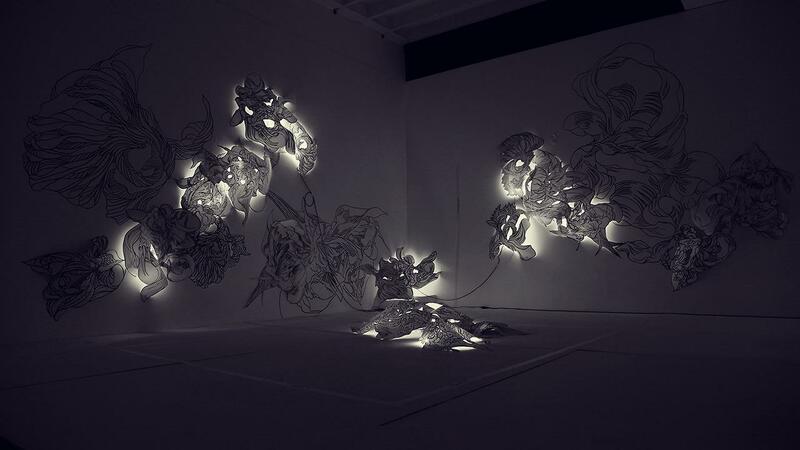 Sougwen Chung works across media ranging from interactive installation to traditional, non-digital illustration. She has collaborated with Sepalcure (Travis Stewart/Praveen Sharma) and the label Ghostly International to design visual interpretations of music, both hand-drawn and in live digital performance. Producer ATOM TM brings a musical perspective from a label that has consistently interwoven design and music, and as an artist works across a range of visual interfaces for music, and will talk about his HD project getting its European premiere at the festival. We will talk about how design, illustration, and performance can realize musical ideas in imagery, and what visual metaphors in art and interface mean for our conception of music. Sorry, weird to quote myself, but that’s the way I’m describing the event. Stay tuned – next week is one I definitely anticipate, getting to hang out with some of the people who inspire me.